Get your SCUBA lessons started for FREE today! Sign Up Today and See why we're the best! Welcome to Mac’s Sport Inc.
We offer SCUBA diving lessons, certification, equipment, rentals, service, ski & snowboard products and accessories. Mac’s Sports Inc. is a family owned and operated dive shop, with over 50 years teaching SCUBA Diving, that offers so much more. 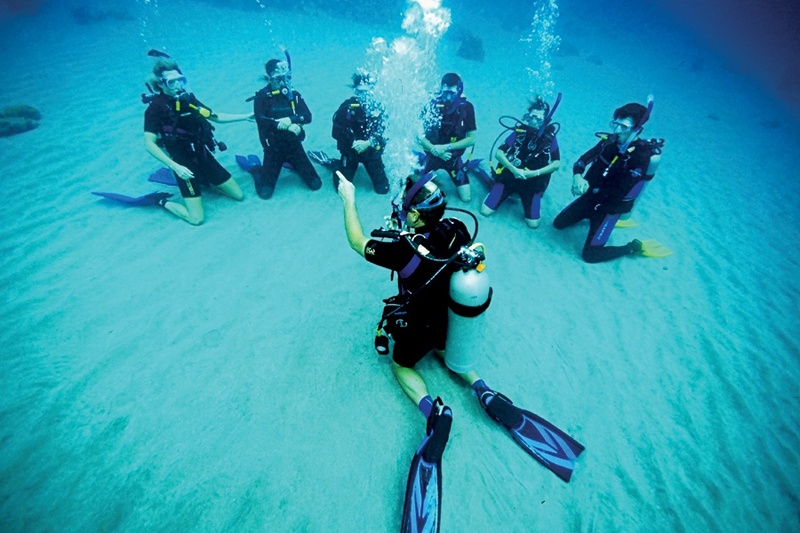 Regardless if you are new to SCUBA diving, looking for a beginner diving class or an experienced diver looking for specialty SCUBA diving classes, we have you covered. Additionally, we offer a full line of SCUBA, Ski & Snowboard apparel and accessories to accommodate any needs. Stop on by one of our two locations in Tarpon Springs or Clearwater and see why we are Tampa Bay’s Premier Dive shop since 1938! Whether you are new to diving, need additional certifications, or just want to become a better diver, Mac’s Sports covers it. Not to mention, we offer a variety of classes for Beginner Divers to experienced divers. Weekly local dive excursions! Call today! Check out our upcoming Dive Trips and get booked before space fills up. We are constantly adding new dive trips, so join our mailing list to be informed of upcoming dive trips and events. Great people, always take care of my diving needs with knowledgeable assistance. Matt, mikell and will are so helpful! Love this place, everyone is very friendly and helpful! Couldn’t have asked for a better place to get certified! Took my wife to get certified and just got done doing some dives at Rainbow River! Super awesome place and if you’re looking to get dive certified this is the place for you! Shoutout to Matt at Mac’s Sports for being an awesome instructor! Purchased a sAweeT Akõna "Quantum Stretch" wetsuit with some AwesoME snorkel gear from these guys today.Honest and knowledgeable, it was appreciated and I'll be back for future purchases, for sure. I took my open water certification course with Mac’s and Brian and Dallas were great instructors! Awesome dive shop. I highly recommend Mac’s, Matt was very professional and knowledgeable,Thank you for your excellent services. My son and I completed a course with Brian at Mac’s. We went to Rainbow River and had an awesome time. Brian was super helpful and a really kind person. Great experience! Excellent service, highly recommend this dive shop. Matt, Keith and Mike as well as the rest of the staff are incredible...!!! The wealth of knowledge and professionalism is second to none. They are more about helping us be comfortable and satisfied then with selling the sale. I am thrilled to call these guys my new diving family...!!! Great certification and diving experiences. Thank you Keith for instructing me well during my coursework, pool practice and open water testing. Thank you Matt for helping me develope my skills diving with awsome marine life through your guided open ocean dives. Our Open Water Program is designed to teach you the skills to become a competent and responsible SCUBA Diver through the repetition of skills in our classroom, on-site indoor pool, and open water dives, all while having as much as fun possible! Instructors pay individual attention to each student to ensure that they are as comfortable and competent as possible while in the water! Looking for some new gear or maybe a gift? Whether you are looking for a gift for yourself or family or friends, Mac’s Sports has you covered. We have something for all skill levels and only sell the most trusted brands of equipment. Mac’s Sports technicians are certified to service all brands of dive gear. Don’t live near a Mac’s? No problem, we offer mail in service. Just mail your equipment in for service and we take care of the rest! 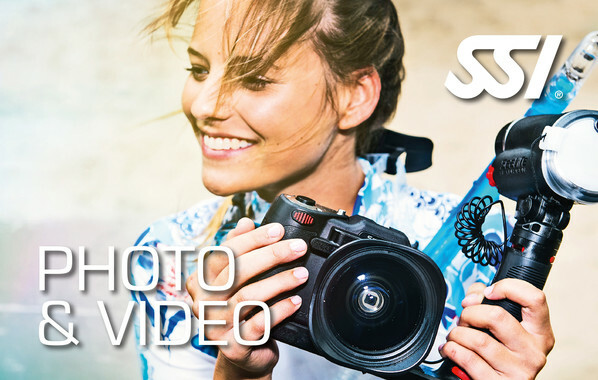 Get updates on upcoming dive trips and events, new products and services, and sales or promotions. Check out our upcoming events. Get signed up today! For 2019, SSI has partnered with the Aggressor Fleet to offer you an exciting Master Diver Challenge Grand Prize. This year’s Grand Prize is a 7-night cruise for two aboard the Belize Aggressor III. 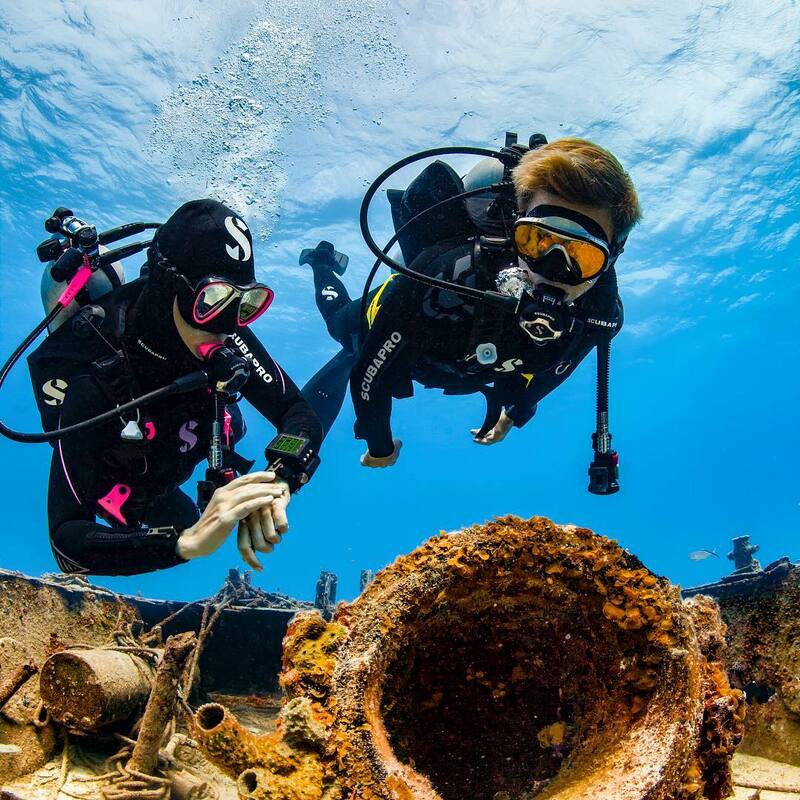 If you become certified as a SSI Master Diver between January 1, 2019 and December 31, 2019, you will automatically be enrolled to win this fantastic dive vacation. The drawing will be held on January 15, 2018. To be certified as a SSI Master Diver, you must log a minimum of 50 dives and complete 4 Specialty Certifications and the SSI Diver Stress and Rescue. As an SSI Master Diver, you will be recognized worldwide as a Diver with a high level of knowledge, skill, and experience. Mac’s Sports Inc. is a family owned and operated dive shop with over 50 years experience teaching people to SCUBA dive, as well as teaching advanced SCUBA, classes. 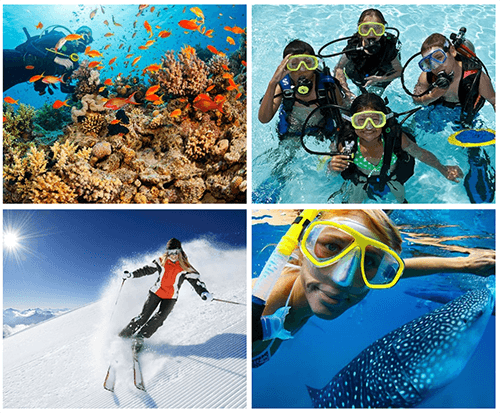 Whether you are looking for; beginning dive classes, specialty SCUBA classes, an upcoming dive trip, or even SCUBA rental equipment, Mac’s Sports has you covered.